When cowhide and luxury come together, magic happens. If there’s one thing everyone can appreciate, it’s high-quality products and fine materials. S0 spoil yourself with a handbag from Hyde and Hare! 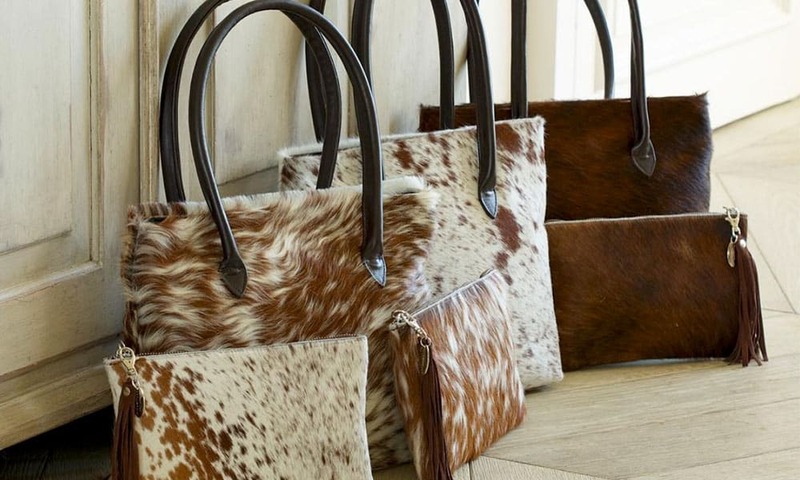 Stylish cowhides and quality craftsmanship are a match made in heaven with this luxury brand. “Welcome to Hyde & Hare – a British-born, luxury lifestyle brand offering the finest cowhide bags and accessories. What makes us special as a company is not just our impeccably stylish, beautifully designed and affordably priced products, but the fact that each of our bags is completely unique. You won’t find another one like them anywhere! The Arundell is perfect for when you’re on the go and need a little tagalong. Need a little more room on your adventures? The Buckleigh Oversized Clutch has all the room you need. If you prefer handbags, the Foxley has your name all over it. The Arlingham Overnight Bag is perfect for those weekend getaways. Want more quality products? Click here!